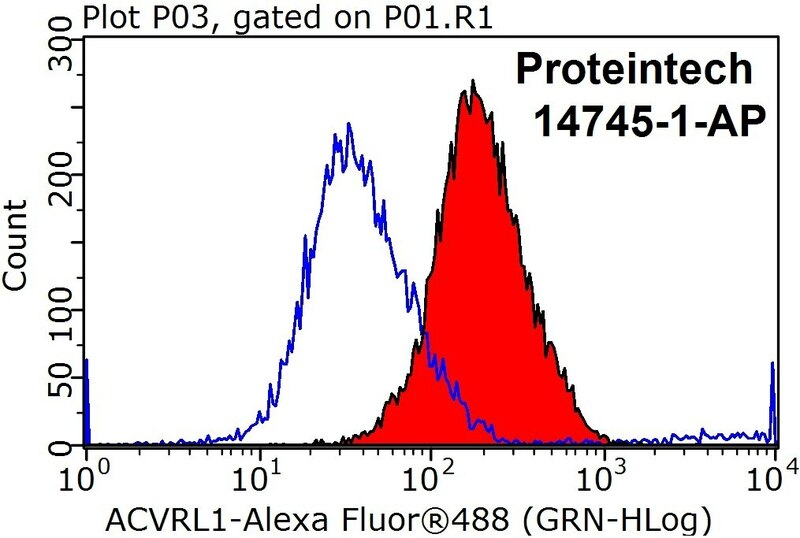 1X10^6 Jurkat cells were stained with 0.2ug ACVRL1 antibody (14745-1-AP, red) and control antibody (blue). Fixed with 90% MeOH blocked with 3% BSA (30 min). Alexa Fluor 488-conjugated AffiniPure Goat Anti-Rabbit IgG(H+L) with dilution 1:1000. 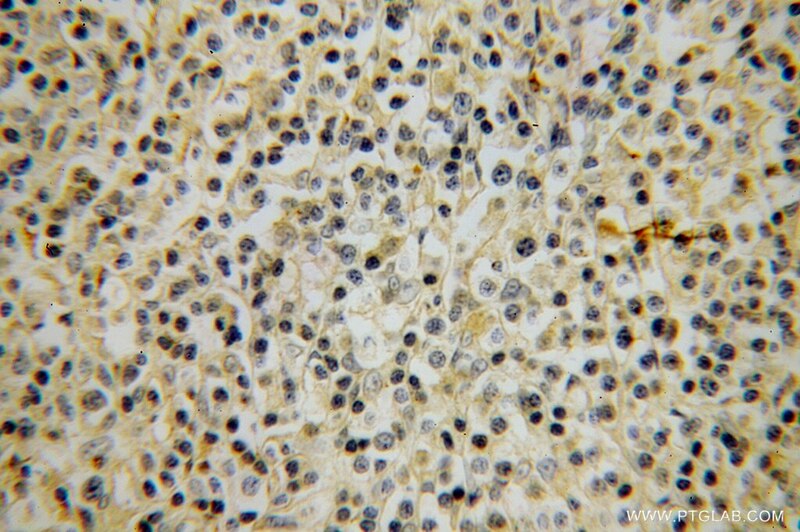 IP Result of anti-ACVRL1 (IP:14745-1-AP, 4ug; Detection:14745-1-AP 1:300) with Jurkat cells lysate 2400ug. 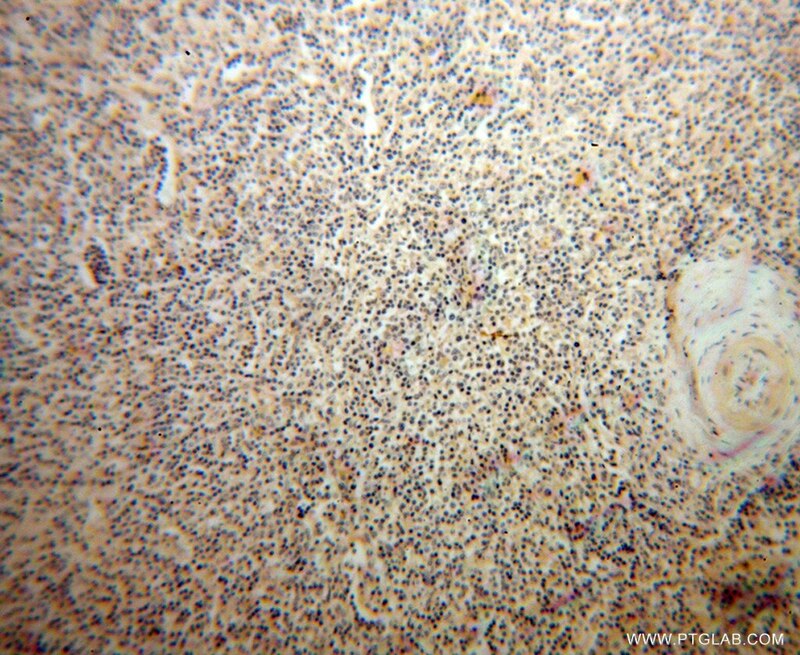 Immunohistochemical analysis of paraffin-embedded human heart tissue slide using 14745-1-AP( ACVRL1 Antibody) at dilution of 1:200 (under 10x lens). 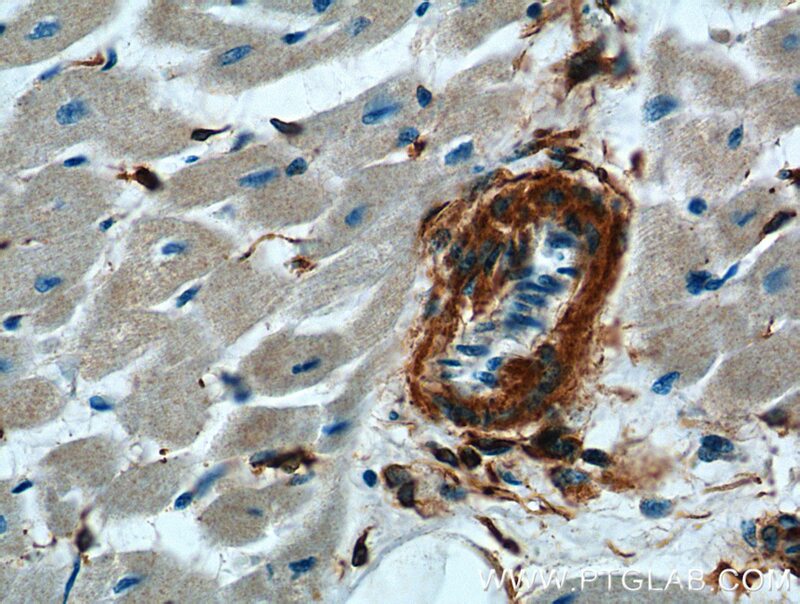 Immunohistochemical analysis of paraffin-embedded human heart tissue slide using 14745-1-AP( ACVRL1 Antibody) at dilution of 1:200 (under 40x lens). 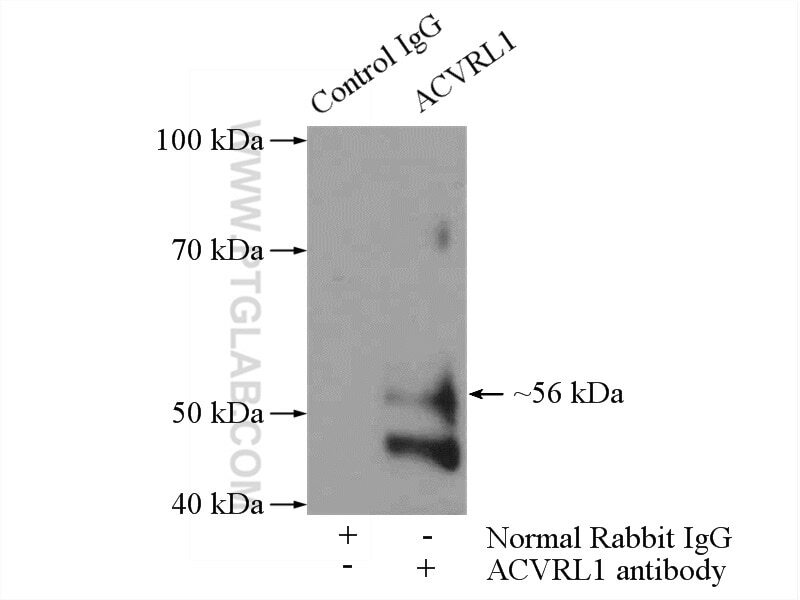 ACVRL1 (also known as ALK1) is a type I cell-surface receptor for the TGF-beta superfamily of ligands. It shares with other type I receptors a high degree of similarity in serine-threonine kinase subdomains, a glycine- and serine-rich region (called the GS domain) preceding the kinase domain, and a short C-terminal tail. 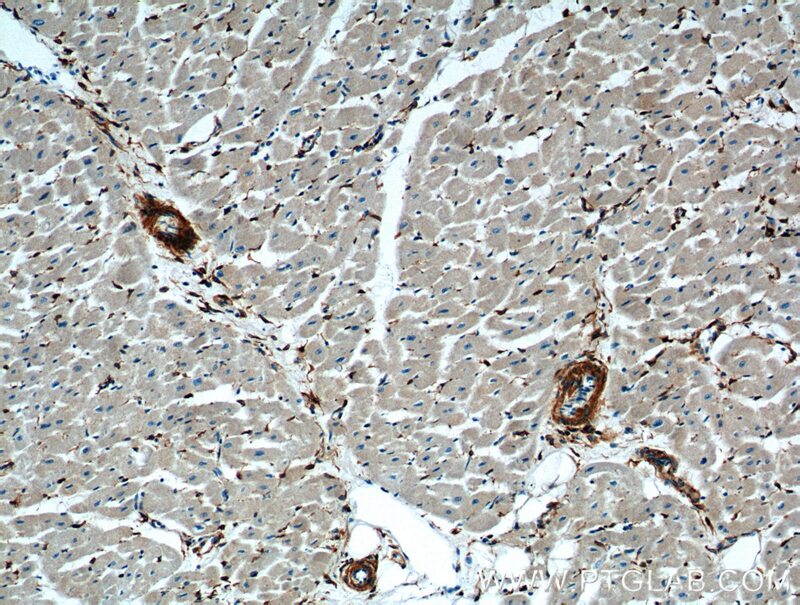 ACVRL1 is highly expressed in endothelial cells and has a critical role in the control of blood vessel development and repair (PMID: 8640225). Mutations in the ACVRL1 gene are associated with hemorrhagic telangiectasia type 2.